Thai Poosam 2011 is celebrated in the Tamil month of ‘Thai’ in the remembrance of Lord Muruga. The word ‘Thai’ denotes a Tamil month and ‘Poosam ‘or Pushya’ means to nurture. 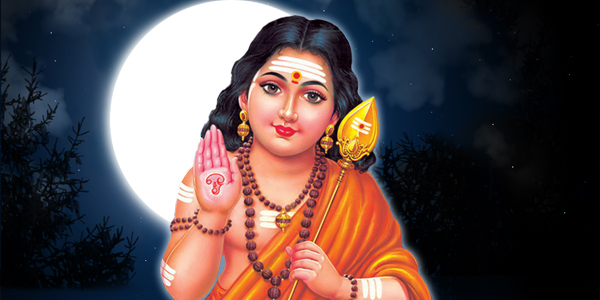 The star ‘Poosam’ is controlled by the Lord Jupiter. Jupiter is associated with Devas and it helps them to be spiritual and intuitive by wisdom. It is regarded as auspicious and it helps in spiritual development of the devotees when it appears in the month of Thai. This year Thai Poosam falls on January 20. On the day of Thai Poosam, devotees pray to Lord Muruga by offering prayers and by making Kavadis. This is the most auspicious day to offer prayers to get rid of the enemies. It is believed that Muruga will bestow more energy, on this auspicious day. Devotees offer prayers to Lord Muruga to bless them with wealth, grace, wisdom and to cure their diseases. Worshipping Muruga on Thai Poosam 2011 will help you to have a better human consciousness and a superior mind set. Performing Homas, Poojas and offering Abhishekam to the almighty God will help a person to act and think rightly. Lord Muruga, the son of Lord Shiva and Parvati was created to vanquish a demon called Tharakasura, who kept disturbing the sages. The main weapon of Lord Muruga was the ‘Vel’ which is popularly known as Shaktivel. It is a divine weapon given by Maa Shakti to dispel darkness and to destroy enemies and evil spirits. It signifies a higher level of wisdom and liberation of humanity. The power of Vel is the way to eradicate ignorance and to lower the karmic impressions. This powerful weapon can lead you to higher wisdom and ultimate human consciousness on the occasion of Thai poosam 2011. Join hands with AstroVed to worship Lord Muruga and to perform Homa and special Poojas and rituals on this Thai Poosam. Submit yourself at the powerful feet of Lord Muruga to keep you away from troubles on this Thai Poosam. AstroVed is performing special rituals for Thai Poosam to help you to find the bliss within. We welcome you to join us on our special Homas and Poojas on this auspicious day!